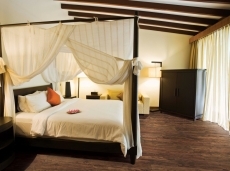 US Floors Natural Cork uses sustainable resources such as cork and bamboo whenever possible in their products, and operate out of solar powered facilities that have implemented several policies designed to protect the earth, such as recycling and the installation of energy efficient lighting. 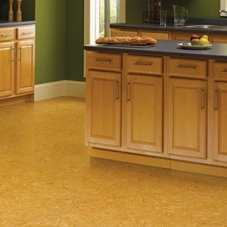 Cork is an excellent flooring choice for anyone because it provides a durable, attractive floor that is made out of a sustainable resource, minimizing the impact that its creation has on the environment. I mean what good is flooring if the world becomes a terrifying post-apocalyptic desert? If that happens, everyone will be way too distracted to see how cool you are with your shiny new floor! The solution: get a cork floor! That way the environment will be safe and sound and you’ll have an excellent looking floor that you can show off to anyone that actually still speaks to you! So what’s your excuse for not having a cork floor in your home? Your dog ate it? Well I don’t believe that for a second because cork, although it makes an excellent floor, tastes terrible! Seriously, not even ranch dressing will help improve that flavor, plus these floors are so resilient, a dog wouldn’t be able to eat it anyway. 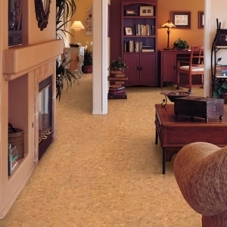 A cork floor by US Floors is the perfect flooring solution for homes with high traffic areas, pets, or kids, all assuming that people like you enough to come over or have children with you, and that when an animal sees you, its natural response isn’t to attack you mercilessly. 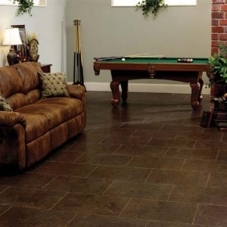 Cork flooring is one of the most durable, eco-friendly flooring options out there, and if you install one in your home it will greatly enhance the appearance of the place, accentuating your personal tastes and style perfectly.